Thomas Edison and The Original Idea Lab! Thomas Edison was the most prolific inventor in American history holding over 1,093 patents on technologies as diverse as the light bulb, batteries and the phonograph. 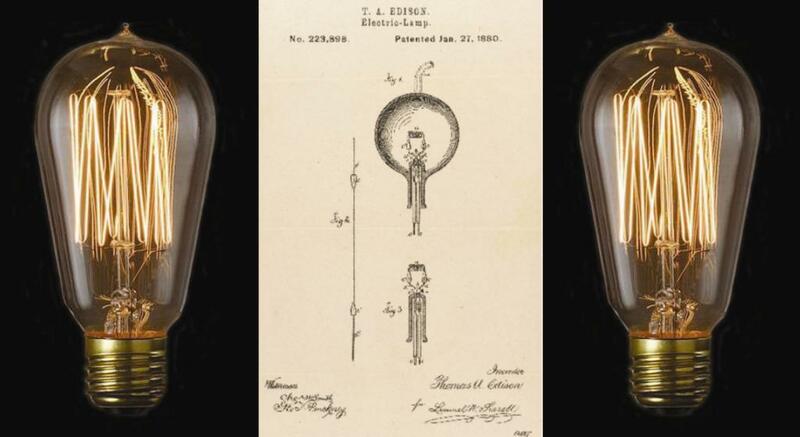 While he did not invent the incandescent lamp Edison did dramatically improve the technology by increasing the lamps life and more importantly making it a commercially viable technology. Founding General Electric in 1890 he created both electric generation plants and distribution networks along the east coast which brought illumination to the general population at a much lower cost than gas light illumination at the time. Bringing team work and industrial mass production methods to the innovation process Edison was credited with creating the first industrial research laboratory. The lab employed over 4,000 people in Menlo Park, NJ in the late 1800’s. His legacy lived on into the 1960’s when Edison Batteries were still sold, and Direct Current electric grid still existed in NYC until 2007. Compared with the modern era of technology titans such as Steve Jobs with 323 patents and Bill Gates with nine patents Thomas Edison’s legacy of an innovator remains strong. However, sad to say the era of the warm glowing Edison filament lamp is coming to an end. Federal regulations are phasing out incandescent lamps in favor fluorescents and LED’s which are more efficient, even if they cost 4 to ten times more than filament lamps they’re replacing. As a result of these new lamps electrical usage in this country has been negative or rising slightly less than 1 percent per year since 2008. This compares to the typical annual raise of 2-4% per year since 1973. Bottom Line: With all of Edison product inventions not withstanding his lasting legacy is the modern industrial research laboratory, where new products were imagined, brought to life and made commercially viable in a professionally managed diversified business model. Edison success was his ability to maximize profits through the development of widely desired products and the establishment of mass-production systems and intellectual property rights to capitalize on their popularity. Previous Office Max and branding of the Box!